This is only my second time to read through The Chronicles of Narnia. I read through them the first time a few years back and thankfully never wrote a review on them before. (I dislike the way I used to review books and have to exercise great restraint in not deleting half of my blog away sometimes.) I probably barely know what I'm talking about now. If you have not yet read the stories and are interested in a synopsis, you can check out my post from yesterday. I remember last time I read this series Lucy was my favorite character. I appreciated her tenacity and willingness to hold on to her childlike imagination and sense of adventure because she knew it was the right thing to do. Despite the fact that her siblings do not believe that she traveled to a new world, met a faun and was away from them for hours while doing so, she holds to the truth she knows in her heart. She is wounded by their disbelief but not crushed. I'd previously been inspired by Lucy's zest and determination to follow truth in spite of the opposition - even within her own family. She believed in the magic and was unapologetic. That, my friends, is a true character of inspiration if there ever was one. As for what the Witch would do with the others, he didn't want her to be particularly nice to them - certainly not to put them on the same level as himself - but he managed to believe, or pretend he believed, that she wouldn't do anything very bad to them, "Because," he said to himself, "all these people who say nasty things about her are her enemies and probably half of it isn't true. She was jolly nice to me, anyway, much nicer than they are. I expect she is the rightful Queen really. Anyway, she'll be better than that awful Aslan!" At least, that was the excuse he made in his own mind for what he was doing. It wasn't a very good excuse, however, for deep down inside him he really knew that the White Witch was bad and cruel. How like all of us is Edmund in desiring to believe a lie so that our own person can be advanced. Edmund knew deep in his heart that following the path of the White Witch would ultimately be destructive. However, he longed to be lord of the land, so to speak. He relished the idea of his siblings bowing down to him and serving him and so in an effort to gratify these sinful desires, he is willing to sacrifice not only himself but his family for his own "betterment." Yet it is a falsity, the end of which will not bring the fame and fortune he seeks. Thankfully Edmund's story does not end on the cold and snowy trail to the Witch's castle. Instead it ends at the feet of Aslan who pardons the boy and goes so far as to protect him from the degrading comments of the others. What is in the past stays there. 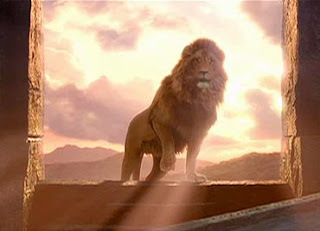 The moment Edmund turns from the Witch is the moment he is then free to embrace Aslan and Aslan's mission to conquer Narnia. Edmund is able to enter in the joy of fellowship first with Aslan and then with his siblings. Of course, the White Witch meets with defeat (there is no other alternative) and Peter, Susan, Lucy and Edmund take the four thrones at Cair Paravel. Edmund becomes King Edmund the Just which is an amazing picture of Aslan's grace and a picture of how far Edmund had truly come. This book is very inspiring and uplifting from a spiritual perspective and is my favorite book out of the entire series. (How lucky for me that it comes first in the series, eh!?) It reads as a stand-alone book although I'm happy to say that in this book we find the story just beginning. Lucy is my favorite child, her belief is simply beautiful, but I dearly love Tumnus! He was the first mystical creature I ever met!